Sensei's Richard Russell of Great Barr, Walsall and John Skeldon of Sutton Coldfield Chongshin Do Clubs made the trip south to be Graded by 10th Dan Grandmaster Soke Brian Dossett. Richard (Now 71 years young) has once again defeated the odds by achieving his 2nd Dan in freestyle kickboxing / Ju Jitsu, he was told after severe neck injury it was time to take up something a little more relaxing . Like showing a red rag to a bull Richard was having none of it . Saturday with his team mates he traveled down to Woking in Surrey to accomplice a goal that has evaded him for the last 5 years . After a 5 hours intense training Richard was presented with his 2nd Dan Black Belt . 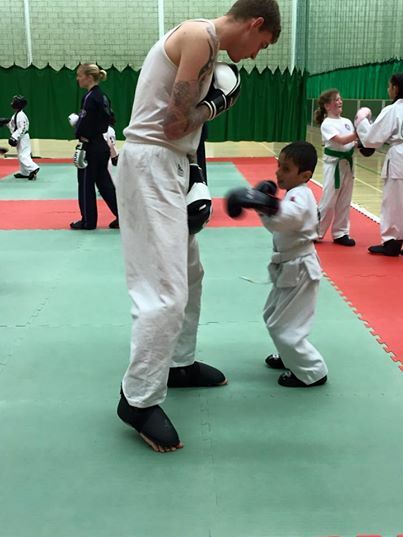 Gary Taylor his friend and instructor said , "Richard is a credit to our club's, his spirit and attitude to training are exemplary. Even at 71 year's old he can hold is own against students half his age , proving that age is merely a number ". ​Richard coaches along side Sensei Gary Taylor (5th Dan) at the Walsall club Venues. Sensei John Skeldon was also Graded and assessed and was awarded his 4th Dan - John teaches at Sutton Coldfield Girls school on Wednesday evenings. 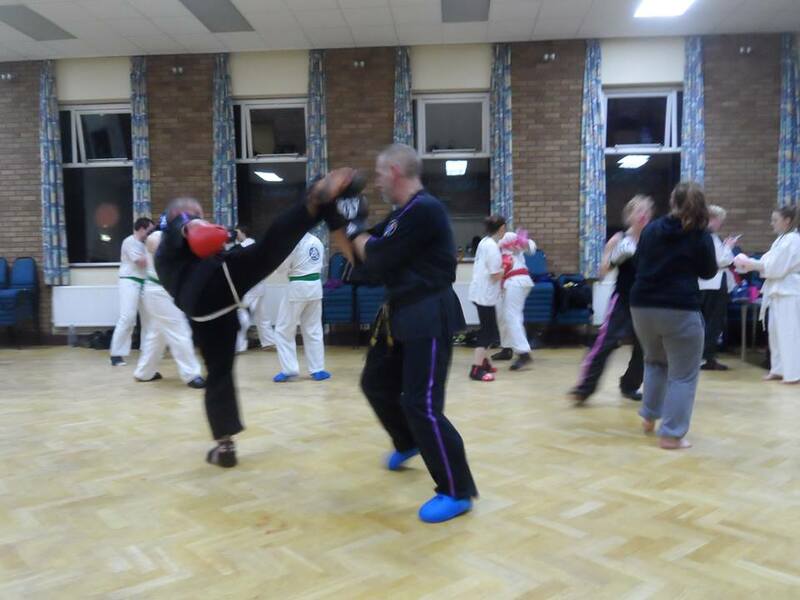 "Richard and John were put through their paces, 5 hours of training and constant assessment, with the men showing their own coaching styles to the panel of Grading officers - This was jo walk in the park - Our Senseis are a credit to the association and I am very pleased for them both" - says Master Martin. 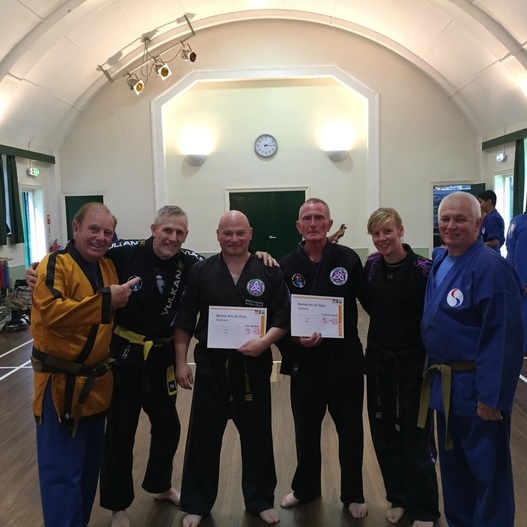 Senior Instructors travelled down To Surrey in May, and were put through their paces and were graded by Grand Master Soke Brian Dossett, and his very experienced team. After a thorough examination the five of them were awarded their next grades in their Martial Art journey. Awarded their 5th Dans were Steve Pride and Gary Taylor. 4th Dan awarded to Neil Alcock, and 3rd Dans awarded to Ian Maye and Emily Constantine. With their Dan Award commemorative trophies. 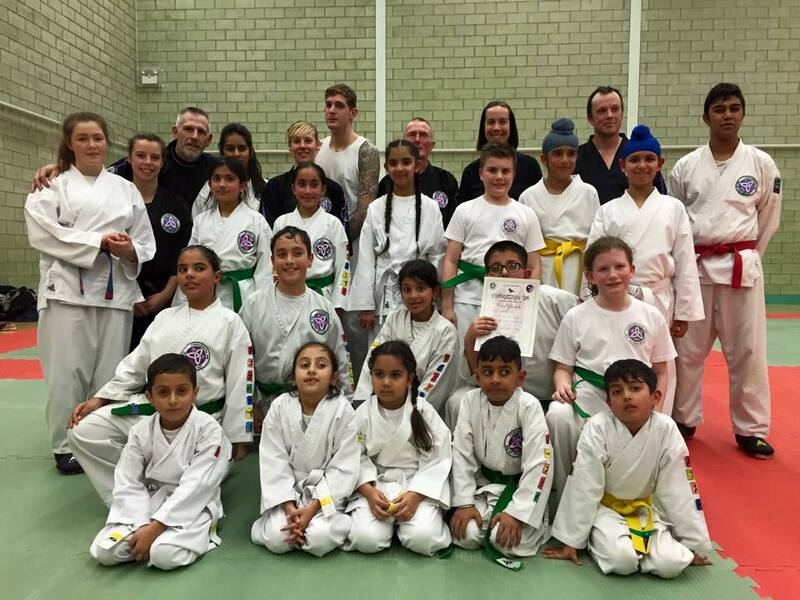 ON Thursday , December 19, 2014 - instructors and students from Chongshindo Mixed Martial Arts Academy in Four Oaks stepped out of their comfort zone and fought each other in a non-stop kickboxing event to raise funds for The Kelli Smith Appeal. Children from as young as six put on their boxing gloves, with some competing for the very first time. In total, £1444 was raised with more money set to be donated in the New Year. Members of Walsall Chongshindo also took part in the Charity fund raising with their Sponsored Spar on wednesday. All money raised went to The Kelli Smith Appeal - helping this little girl beat Cancer.